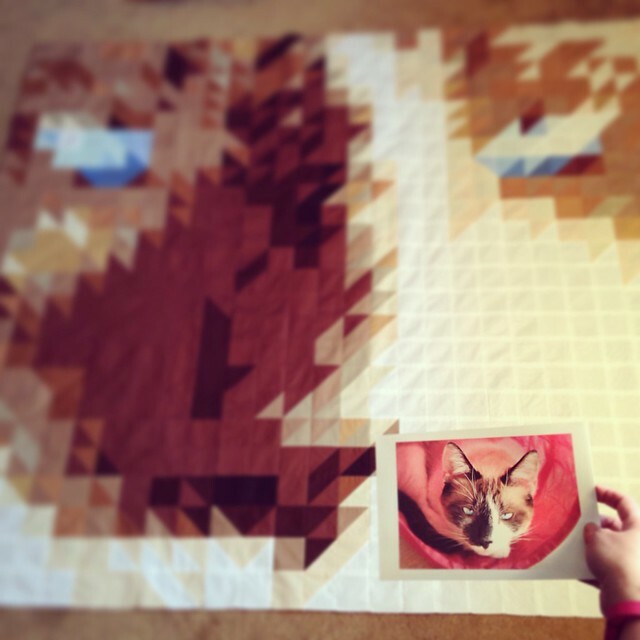 Okay, I’m not usually a fan of pixellated quilts, but that cat face is fantastic! Great work! 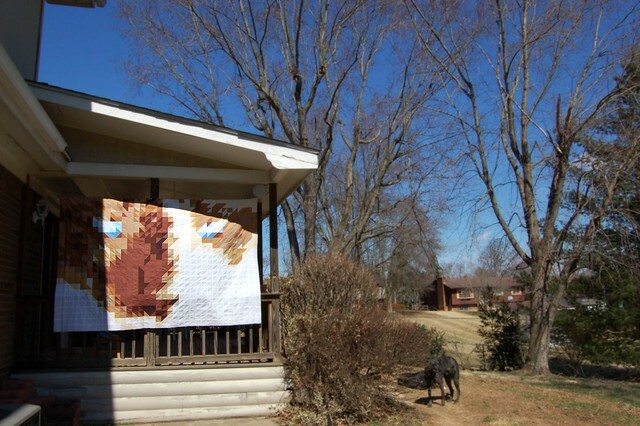 I want/need to see a good photo of that pixelated quilt, because I need to see ALL of it’s amazingness. And do not get me started on your wonky stars. Your color play is fabulous. I’ll throw in a picture as soon as I can, and I’m so glad you like it! (I adore your use of colors and choices of pattern — I’m always left thinking I have so much to learn, but in a good way!) 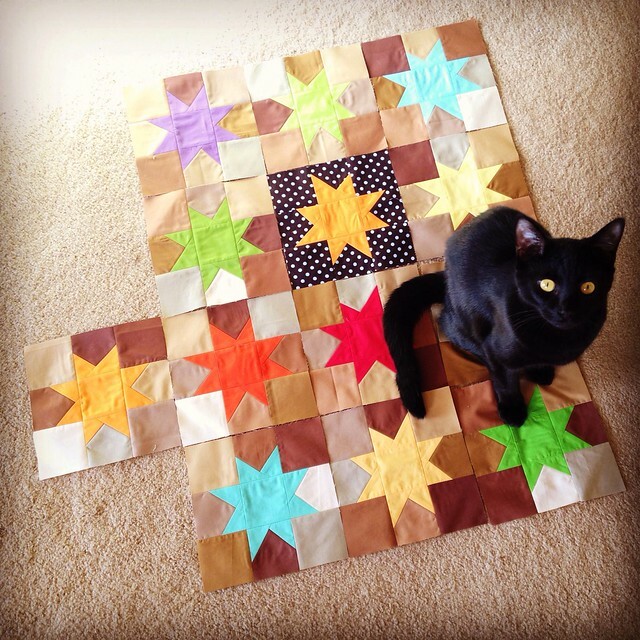 I should have the Deegie quilt back in two or three weeks, which is a fast turnaround for my quilt shop. I am so excited to see it. I will check back in because I am dying to see more.